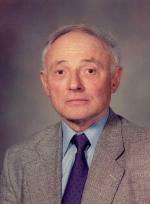 Dr. Liviu Librescu (1930-2007), holocaust survivor, world renowned scientist and victim of the massacre at Virginia Tech. A tribute to Dr. Liviu Librescu. Kim Adler, Co-Director and Co-Producer of the Haddonfield Plays & Players production of “Number the Stars,” announced last week that the company plans to dedicate its spring 2008 performances of the show to Dr. Liviu Librescu, the Virginia Tech professor who died while defending his students during the shooting that took place at the college on April 16, 2007. Professor Librescu threw his body in front of the shooter when the man tried to enter Librescu’s classroom. Librescu’s son, Joe Librescu, reported that his father “blocked the doorway with his body and told his students to flee." Librescu's heroic actions allowed all of his students to escape unharmed. For several years, Adler has been instrumental in presenting “Number the Stars,” a poignant portrait of friendship and courage during World War II, and said she was deeply touched by hearing the account of Dr. Librescu’s actions during the shooting incident. In addition to dedicating the Plays & Players’ production to Dr. Librescu’s memory, Adler said there will be a tree planted in Israel, where Librescu’s family resides. The stage version of “Number the Stars” is adapted from Lois Lowry’s Newbery Award-winning book and features music and lyrics by Sean Hartley. The show, set in 1943 Copenhagen, tells the tender story of 10 year-old Annemarie Johansen and her family, who put their lives in danger to aid Annemarie’s best friend, Ellen Rosen. “Number the Stars” will be on the Haddonfield Plays & Players' stage on March 18, 19 and 20 and April 1, 2 and 3. There will be two shows each day, at 10 a.m. and 1p.m., and evening performances at 7:30 p.m. on Wednesday, March 19 and Wednesday, April 2. All tickets are $7, and can be reserved by calling the Box Office at 856-429-8139 or visiting the web site. For additional information about the Dr. Librescu tribute or “Number the Stars”, contact Kim Adler at 856-428-0898 or musicalmama1125@hotmail.com. Funding for “Number the Stars” has been made available by the New Jersey State Council on the Arts / New Jersey Department of State, through the Camden County Cultural and Heritage Commission, the designated arts agency of Camden County.